The Kelley Barracks Commissary will celebrate the “Month of the Military Child” by conducting commissary tours for the garrison’s Child Development Center children, a sidewalk sale April 16–18, and participation in a Defense Commissary Agency coloring contest. Throughout April, military children ages 11 and younger may participate in a commissary coloring contest. Participants can pick up the coloring page and official contest entry form at the commissary or visit here to download it (limit one entry per child). Kids can submit their entry by dropping it off at the commissary. No purchase necessary to enter or win. Grand prize winners will have their artwork placed on a special reusable shopping bag, and the first and honorable mention winners having their names printed on the bag’s sides. The Kelley Barracks Commissary is a popular store within the garrison, being large enough to have a wide variety of products, yet small enough to provide excellent hometown customer service that gives customers the feeling of shopping at a small town American grocery store. It received the L. Mendel Rivers Award as DeCA ’s 2016 Best Small Commissary Overseas, at a ceremony on Aug. 9, 2017. 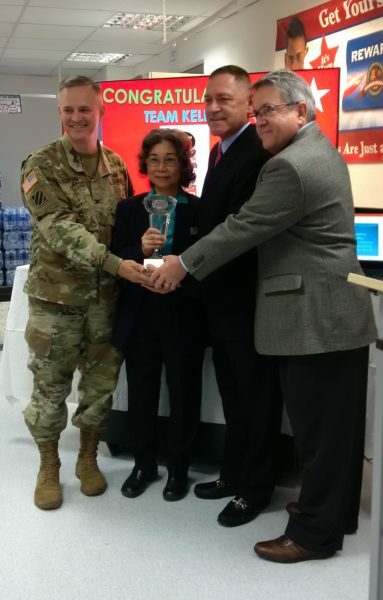 DeCA Europe Area Director Norman Brown and Zone Manager for Bavaria John Spaur, along with Col. Neal Corson, commander, USAG Stuttgart, presented the award to Store Director Hsiu K. Coe. 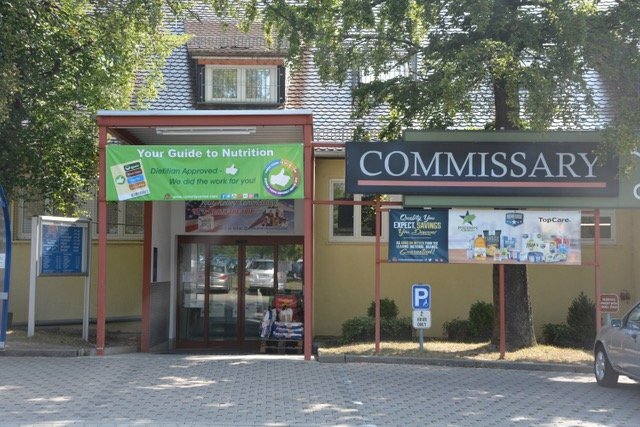 The annual award goes to commissaries worldwide that surpass the criteria set forth by DeCA for customer service, accountability, safety, operations and sales.